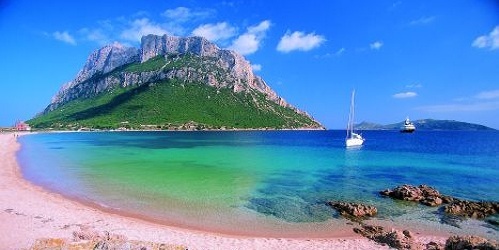 Sardinia, an Island that strikes its visitors with natural contrasts, the lights and colours of a region that guards old traditions, amid wilderness and pure nature. 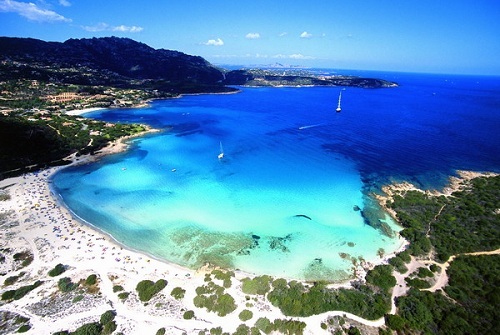 Sardinia is the second-largest island in the Mediterranean Sea and one of the most geologically ancient bodies of land in Europe. 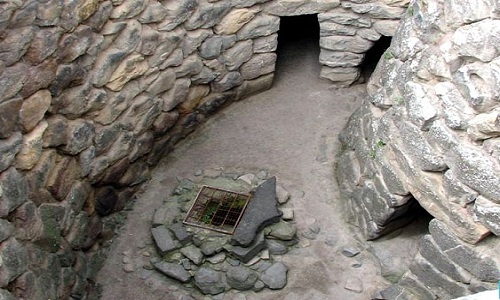 Though evidence of human visits date from the Palaeolithic period, permanent settlements only appear much later in the Neolithic age, around 6000 BC. 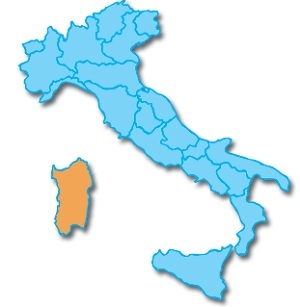 The first people to settle in northern Sardinia probably came from the Italian mainland via Corsica, particularly from Etruria (present-day Tuscany), while those who populated the central region of the island around the salt lakes of Cabras and St Giusta may have arrived from the Iberian Peninsula by way of the Balearic Islands ((Asturian, Galician, Leonese, Mirandese, Portuguese and Spanish).From about 1500 BC onwards, villages were built around the round tower-fortresses called nuraghi. Today some 7,000 nuraghi dot the Sardinian landscape. According to some scholars the nuragic peoples are identifiable with the Shardana, a tribe of the "Sea Peoples" (raiders of the second millennium BC who sailed into the eastern Mediterranean). 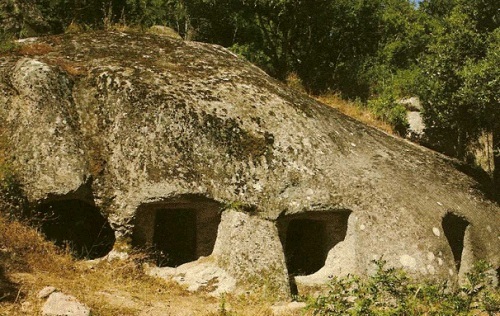 Sardinia combines sea and nature with folk traditions, mysticism and curiosities, like the mysterious giant’s tombs and Domus de Janas, the house of witches, ancient caves dug out of the ground and scattered around the region, just like the nuragic constructions. 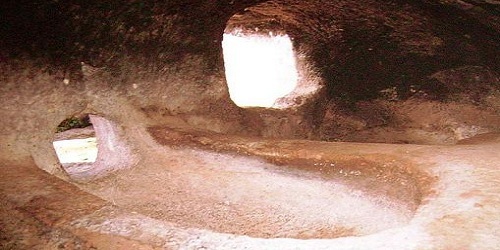 These are archaeological sites where it is possible to grasp the archaic charm of ancient rituals and domestic life. Of these many constructions, the complex of Barumini, in the province of Cagliari, is among the sites in the UNESCO World Heritage list. Those who prefer the mountain to the sea can explore the area of Gennargentu, the greatest mountain range in Sardinia, with its peculiar landscape, where Man and Nature joined one another and decided that the latter should have the priority. This region is rich in flora and fauna, with its mouflons, golden eagles, Sardinian deer and several species that are now threatened with extinction. In the Gennargentu National Park, it is possible to do several activities, like trekking and excursions to archaeological sites, as well as skiing on the slopes of Bruncu Spina, one of the highest peaks with its 1829 mt, and Mount Spada, where there are skiing facilities and restaurants. 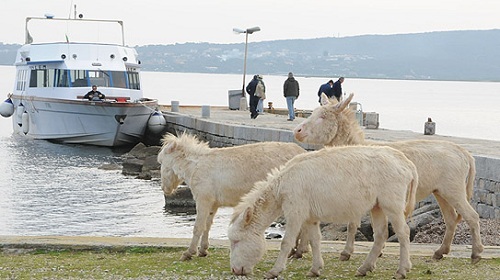 ...amid colonies of white donkeys that still live in the wild. 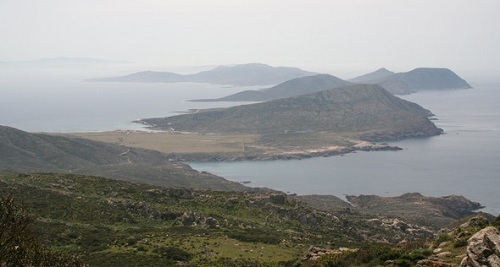 There is a wide range of activities to choose from and practise, abiding by the rules in the Park : from trekking along thematic routes, to cycling, riding horses born and bred on the Island, sailing, guided scuba-diving and go on a rubber-tyre train tour that allows admiring the landscapes of the area stopping at the most suggestive spots. 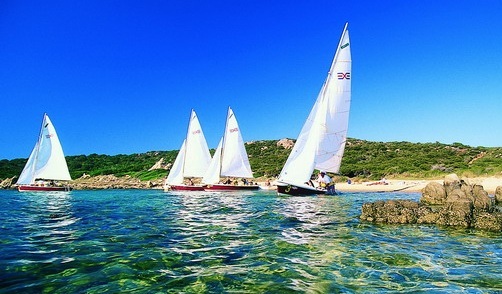 The beaches of Sardinia have always been, since ancient times, a paradise for lovers of the sea and unspoilt nature. 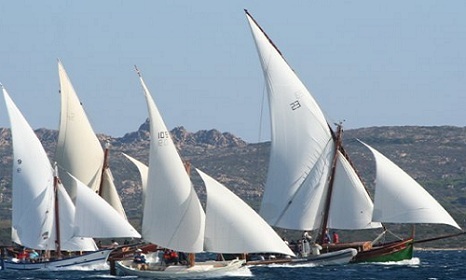 It is not easy to make a list of the amazing beauties of Sardinia. Places like San Teodoro, Santa Teresa di Gallura, Poltu Quatu, Baia Sardinia are only some of the charming locations that deserve a visit. 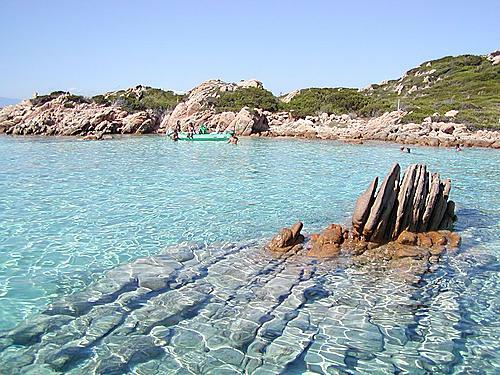 Visiting the Maddalena Archipelago and its “seven sisters”, the main islands of the archipelago, and sailing along the coast of the Maddalena National Park with its lively seabeds, perfect for scuba-diving lovers, is an incredible experience. 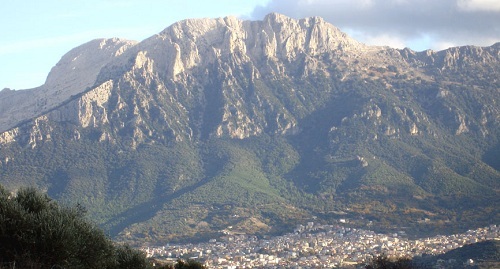 Caprera, the second biggest Island after Maddalena, is full of pastures and pinewoods, and shows its visitors the places where Garibaldi lived, with a museum-house in the typical Mediterranean vegetation, which guards the memorabilia of the “hero of two worlds”, as well as his and his family’s grave. 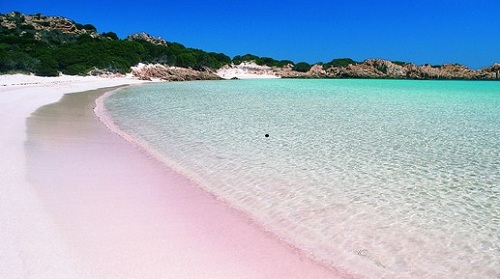 ...with its enchanting Rosa beach, a natural masterpiece named after the pink colour of its special corals and shells, that can be admired from the sea. 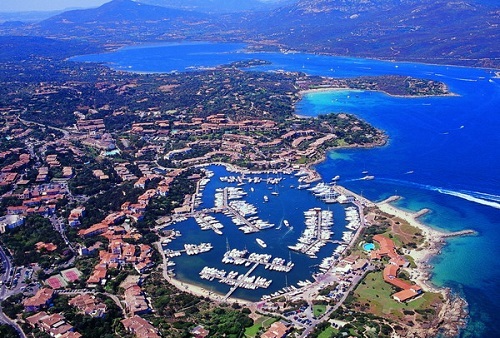 Porto Rotondo is also a famous location; it overlooks the wide Gulf of Cugnana and is full of villas and piazzas embedded in a splendid natural environment. 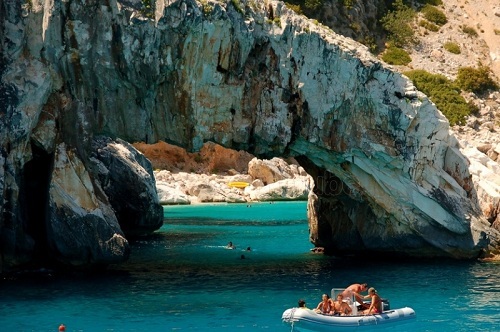 Many caves and coves are the destination of tourists who want to discover unparalleled views and sensations; Cala Gonone, Grotta Bue Marino, Cala Liberotto, Cala Goloritzè are some of those natural sceneries where time seems to stand still. On the central-east coast of the island, in the Gulf of Orosei, are extraordinary beaches made up of white sands and wild nature. 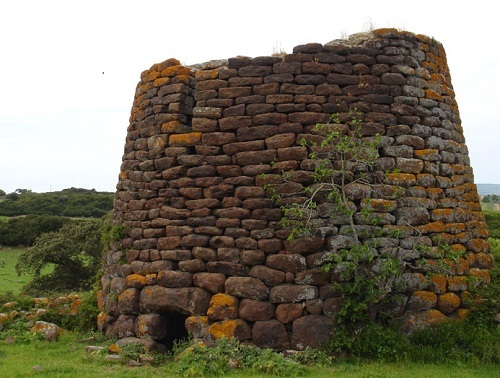 In front of the well-known Pelosa beach, (Stintino) is the homonymous Tower, a sixteenth-century Aragonese building, one of the oldest sighting towers in Sardinia. Stintino offers endless leisure possibilities: golf, boat excursions and scuba-diving, relaxing strolls, cycling or even horse-riding, as well as exploring the hinterland to admire the typical Mediterranean vegetation or ancient archaeological finds, like the nuragic constructions near Porto Torres. Staying in this area ( Stintino is the the province of Sassari) is even more interesting if you can watch and participate in the “Regata della Vela Latina” (Latin Sail boat race), an important International event dedicated to old sails with hundreds of traditional sailing boats arriving from all over Italy (end of August). The cuisine of Sardinia is varied and rich in flavor, original and simple at the same time, enriched during its long history through contributions from external contacts and exchanges with different Mediterranean cultures.The main ingredient is wheat, used to make the famous pane carasau (traditional bread of the shepherds), but also the well-known malloreddus, culurgiones and fregola. Of course, you cannot leave the island without tasting the savoury porceddu, a roaste suckling pig which is served on cork trays and covered in myrtle branches. As for fish, the lobster of Alghero, the bottarga of Cabras and Carloforte tuna fish are absolutely excellent. Other exclusive fish dishes are clam soup and spaghetti with sea urchins. 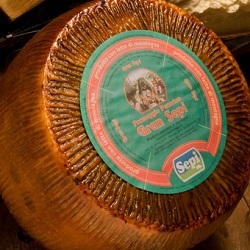 Sometimes called the poor man's caviar, botargo is a dried roe pouch of tuna or grey mullet, or sometimes swordfish. 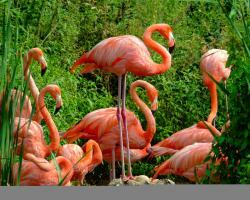 It is usually used sliced thinly or grated. 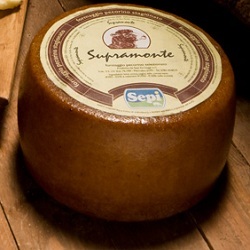 Cheese is one of the specialties of Sardinia and their development is due to its ancient pastoral tradition.The Island currently offers the largest production of sheep cheeses of Europe, exported and appreciated in many markets, especially in North America. 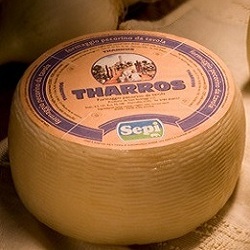 The product is sometimes subject to piracy and some cheese food, especially in the Americas, are surreptitiously sold under the name of Sardinian cheese, but sometimes are cheeses that have never seen the Island. 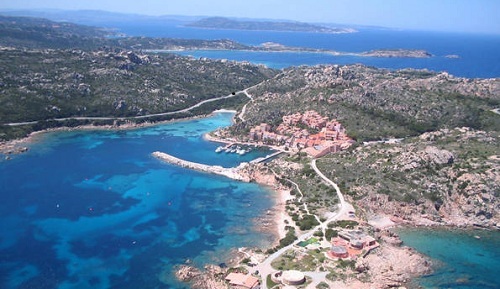 Sardinian people accompany their dishes with excellent wines like Vermentino di Gallura or Cannonau. Myrtle liqueur is delicious as well. 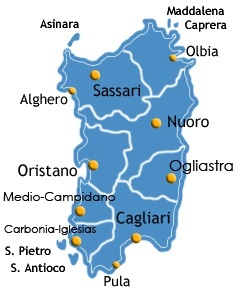 The provinces of the region are: Cagliari (regional capital), Carbonia-Iglesias, Nuoro, Olbia-Tempio, Oristano, Medio Campidano, Sassari and Ogliastra. In Cagliari, besides admiring the several colonies of flamingos of the lagoon, it is really worth joining the traditional festivals and fairs that take place all year round, like the beautiful festival of S. Efisio, (first week of May) one of the most important religious and folklore events in Sardinia, where all of the participants arrive from other towns of the region wear their traditional costumes. 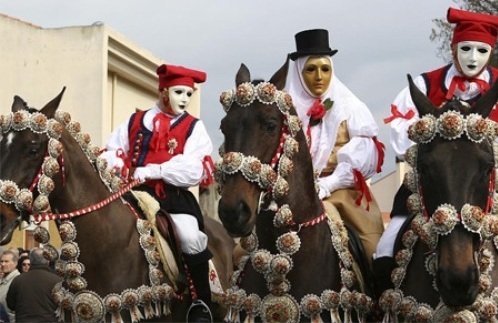 The Sartiglia is one of the most spectacular and choreographic events of Sardinia's Carnival. The protagonist is Cumponidori, the knight. The feast starts with the long ritual of his dressing, (La Vestizione de Su Componidori) the knight will not be allowed to touch the ground again until the end of the day. 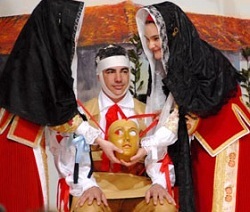 The women, "is Massaieddas", dress the knight in a white shirt, trousers and leather "cojettu” (a sort of vest which was used in the ancient times by the craftsmen as labor clothing), cover his visage with an androgynous mask which is kept still by a bandage, then they adorn his head with a bridal veil and a black top hat: man and woman at the same time, su Componidori becomes a sort of half-god. The knight is the master of the feast and - after parading with the assistance of the su Segundu Componidori and su Terzu Componidori (second and third knight) and blessing the crowd with "sa Pippia de Maju" (a bunch of periwinkles and violets, a symbol of Spring fertility) - has the task of opening the context, being the first one to pierce a star hanging on a thread with his sword; he will then select the knights who will have the honor to participate to the joust: the tradition wants the abundance or scarcity of the harvest to depend on the amount of stars which shall be pierced. The last race to the ring is made with "su stoccu", a wrought wooden rod. Before the races of the pairs of horses, which will continue in a row until sunset in the neighboring via Mazzini, su Cumponidori - at the closing of the Sartiglia - shall have to test himself in "saremada": laying on his back on the back of the horse, he gallop along the track, blessing the crowd. Carnevale di Santu Lussurgiu-"Sa Carrela 'e nanti "
Santu Lussurgiu Carnival is characterized by the race of the pairs of horses called "Sa Carrela 'enanti" ("the street you have in front": the race has been named after the street where the event istraditionally deployed, today via Roma). As reckless as it is spectacular, the race of Santu Lussurgiu, calls the whole community around it: there is not only the show offered by the bold acrobatics of the horses, but also the participation of the crowd. "Sa carrela 'e nanti" is an approximately 1-km long road - made a dirt road for this occasion - which is characterized by steep downs and ups, curves and bottlenecks which articulates along the narrow streets of the historical center of the village, in the neighborhood called Biadorru (the wayback), in particular in via Roma. In compliance with the tradition, the knights, who are rigorously from Santu Lussurgiu, must wear a mask and their visage must be painted. "Sa mascherada", i.e. the knight's garments, is rich in color sand fantasy. 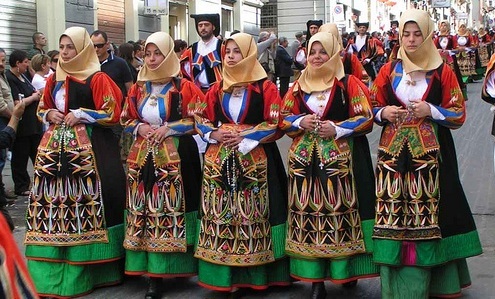 It may remind the Spanish costumes, the jockey’s coats, recall the ancient custom of the village, or even represent other, more current characters.